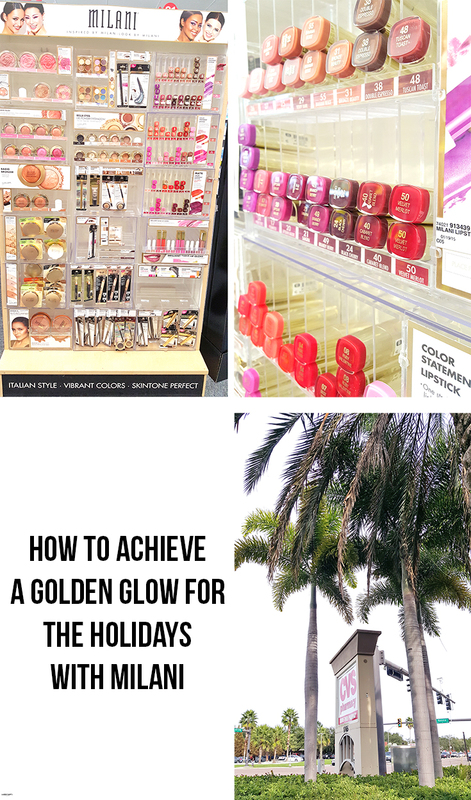 How to Achieve A Golden Glow for The Holidays with Milani + a CVS Gift Card Giveaway! 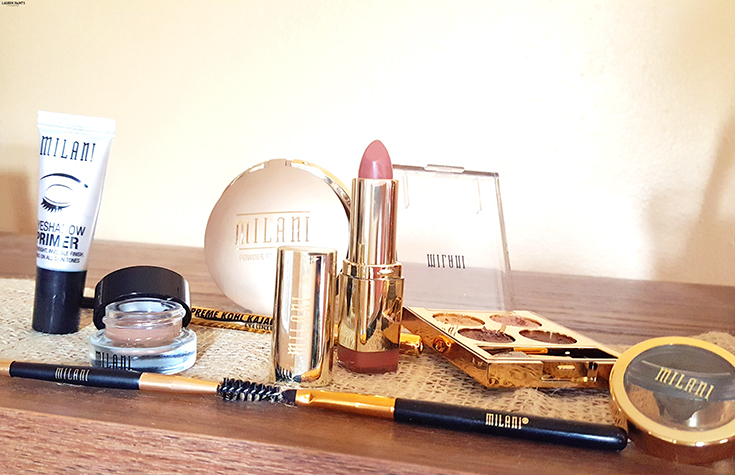 I've always been a makeup junkie, I love trying out new products and experimenting with new looks so when I found all kinds of fun Milani products I hadn't tried before at CVS, I knew I had to invest and add a few new items to my makeup collection. 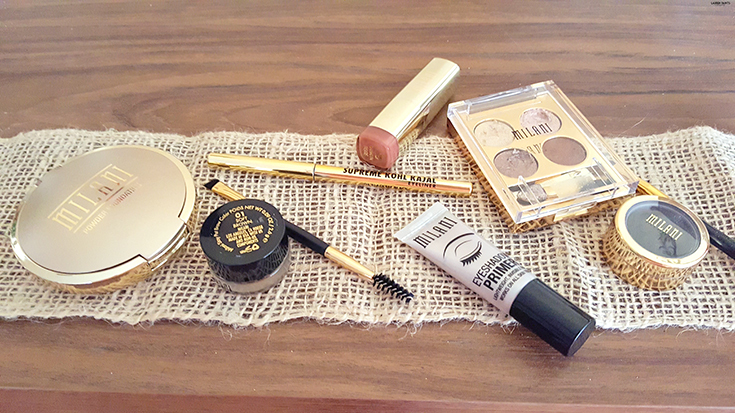 I grabbed a handful of everything Milani, from Eyeshadow Primer to Black Gold Foil Eyeliner. That's why I love shopping the little Milani area at CVS, they carry everything this makeup lover could want or need! With a whole new look in my bag, I was on my way out the door and ready to start experimenting with the new products... If you're a makeup junkie like me, you know the excitement of getting a whole new line up of makeup products. I've been trying to figure out how I was going to do my makeup for our upcoming Christmas photoshoot, plus I've just been wanting to give a "new look" a try so trying out a new line of makeup was a great way to mix things up for me! 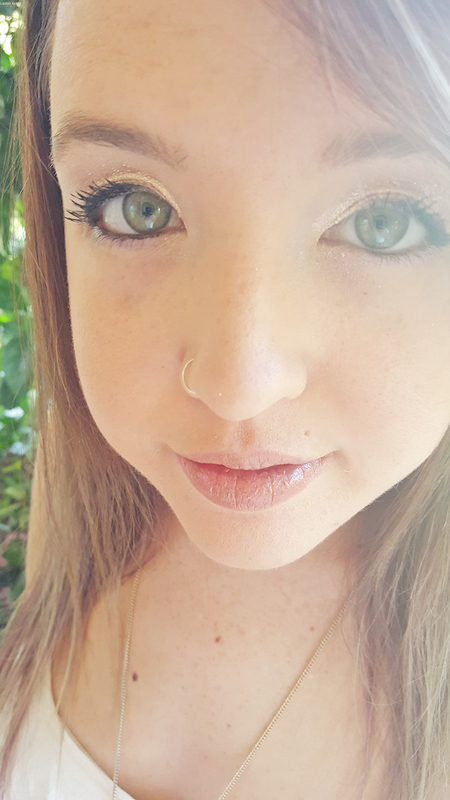 The Fierce Foil eyeliner is actually new to everyone, not just me. 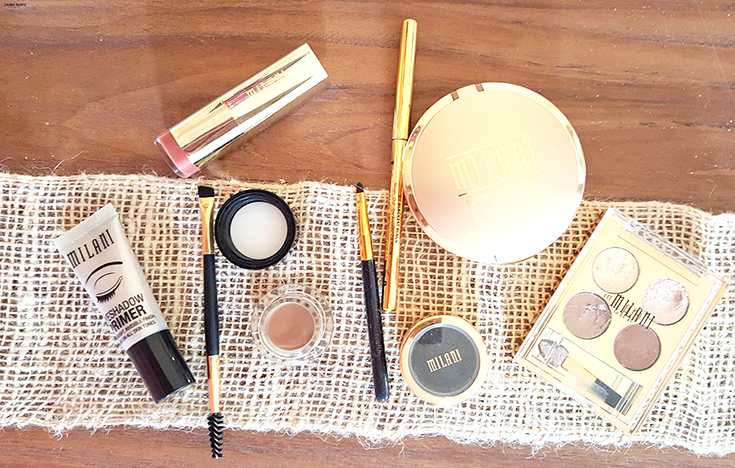 It's hopping right off the Milani runway and into the hands of makeup lovers everywhere. Blackened jewel tones with a beautiful, shiny foil finish add the little extra pop you need when used as a liner or the fierce foil can really make your eyes have depth if used as an eyeshadow. 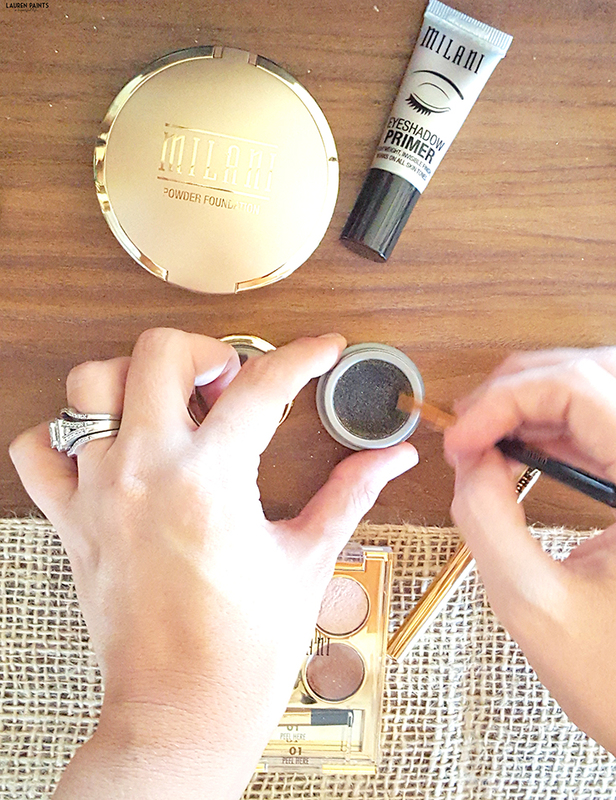 I'm loving the gold flecks mixed with the darkness, it's perfect for a smoky eye effect with some glimmer! The next item on my list of goodies is the Milani Supreme Kohl Kajal eyeliner. It's so super soft and easy to apply, yet it doesn't smudge like other brands tend to do. Plus, it's waterproof and laced with hydrating, nourishing ingredients... I've always been a heavy eyeliner user, so I'm more than happy to have finally found a drugstore brand eyeliner that won't smudge! The Stay Put Brow is something that I wouldn't normally use, but I'm so glad I decided to give it a try. I love makeup, but I've always felt my brows were satisfactory, until recently. I want to give my brows the extra oomph they deserve so I've started filling them in some with Stay Put Brow from Milani and boy, what a difference good eyebrows can make with a full face of makeup! 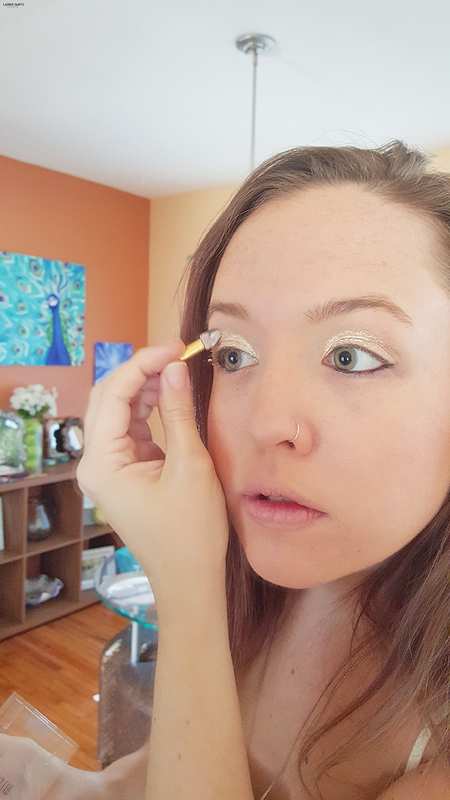 The Eyeshadow Primer is one of those makeup items that everyone should own, especially if you love bold eyeshadow looks. It's amazing how easy the primer was to apply and it definitely helped my eye makeup last longer and made the colors more bold! 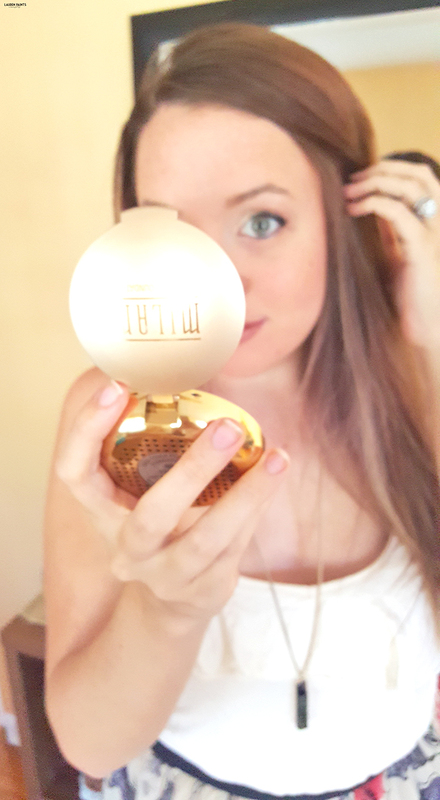 The Milani foundation powder is a definitely going to be a new makeup staple in my collection. I loved how silky smooth it went on and the color matches my skin to a T. Plus, it provides just the right amount of coverage without looking cake-y! The Golden Eyeshadow Palette includes four gorgeous shades of brown/gold tones that are absolutely dreamy. It has a creamy texture which means it won't flake off onto your cheek and it goes on smooth as butter! 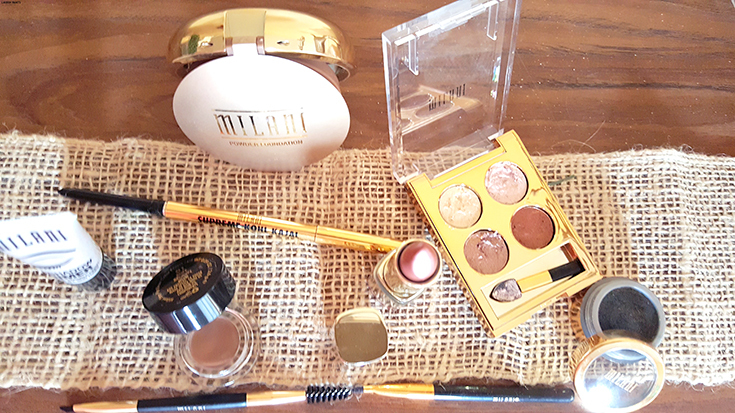 I'm a HUGE fan of Milani eyeshadows now and will be buying every color palette they make! 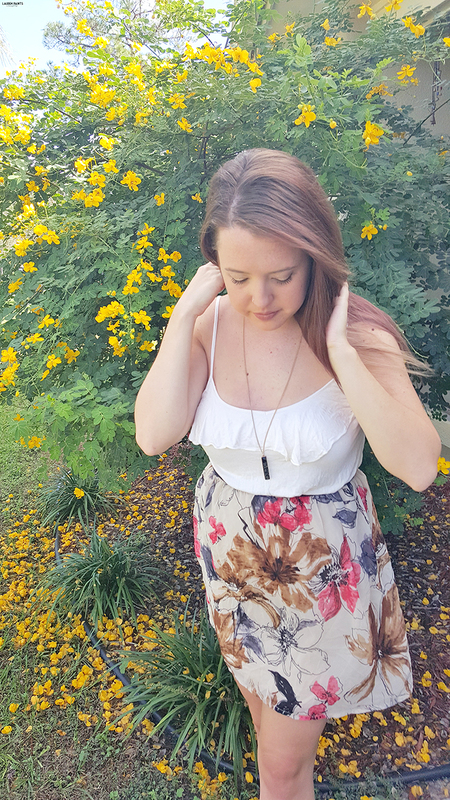 The last item I grabbed was a Color Statement Lipstick and it is stunning! I'm a huge fan of adding a pop of color to a fairly neutral face and vice versa so I grabbed a shade that I think will look good no matter what. 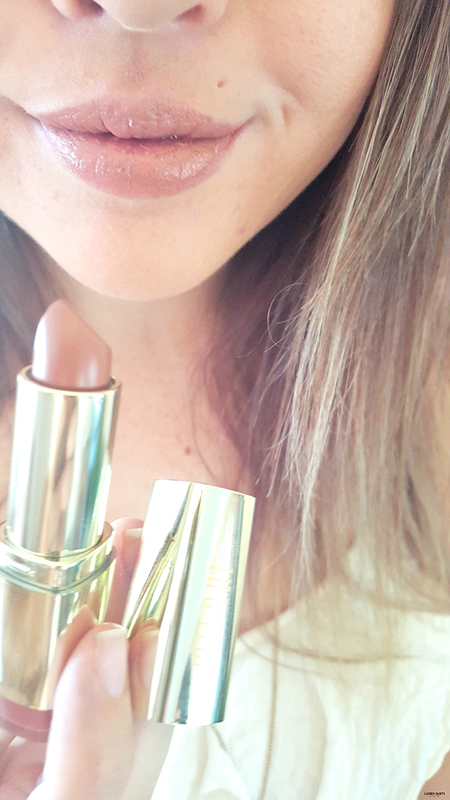 Laced with vitamins A and C to hydrate and nourish my lips, the Bahama Beige is another new staple in my makeup collection! Next I'll be adding the Brandy Berry to my collection I think, although all the colors are beautiful! Now how did I apply it all? Here's a super quick video of my application... 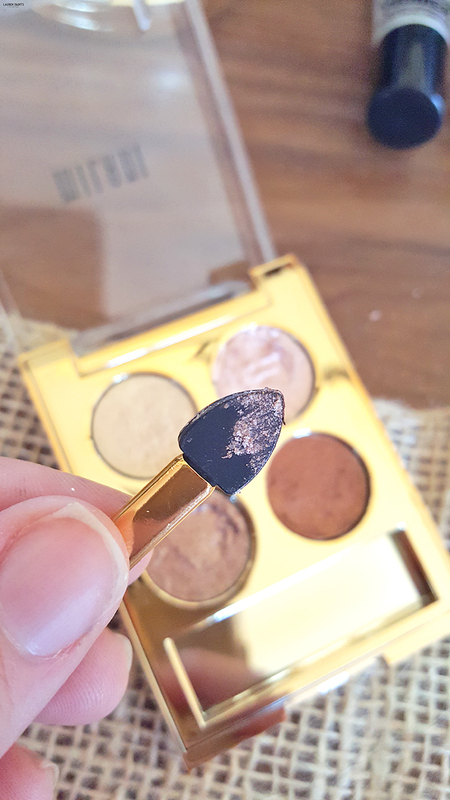 But I started with the Milani powder, leaving a gorgeous base for me to work with. Then I added some of the eyeshadow primer to my eyelids, followed by a heavy line of Fierce Foil eyeliner. Next, I lined my lower eye with the Supreme Kohl Kajal eyeliner. 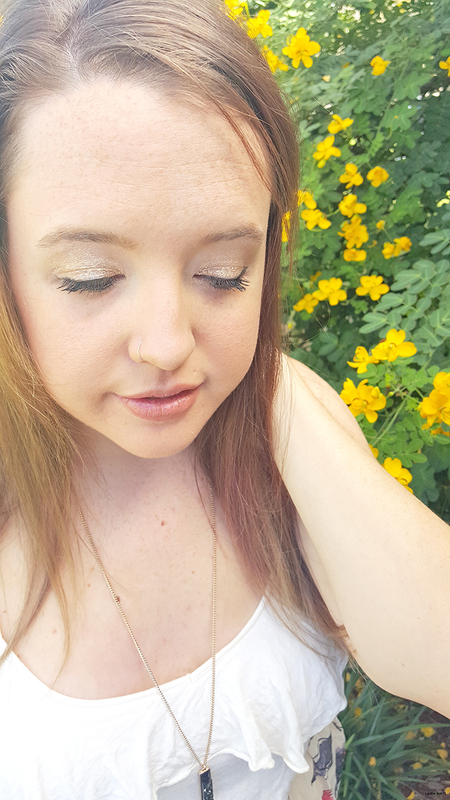 Then I added a heavy helping of the light tan/gold eyeshadow all over my lid, with a little bit of the medium color on the corners of my eyes. 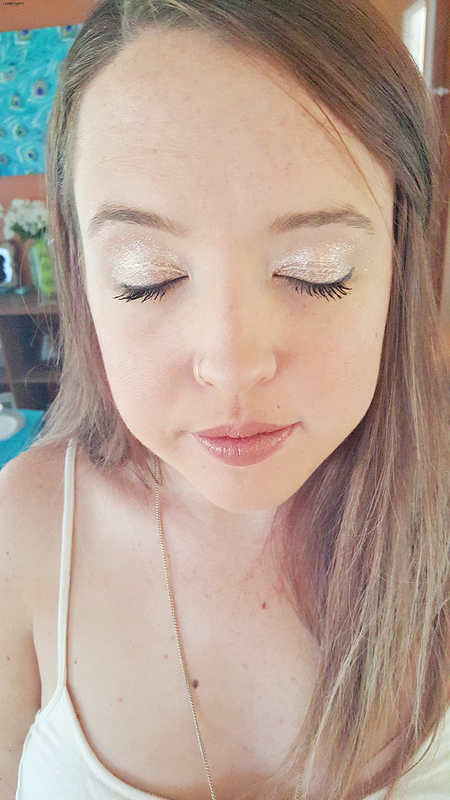 Followed by applying a small amount of white eyeshadow on the inner part of my eye and smudge it a tiny bit so it blends into your eyeshadow - this really makes your eyes pop! Next I line my brows, if I'm feeling fancy... and lastly, I apply blush and mascara and out the door I go! It's easy to achieve this makeup look, I promise anyone can do it if I can! It's my new favorite look to rock and I imagine I'll feel that way all Fall long!